1. 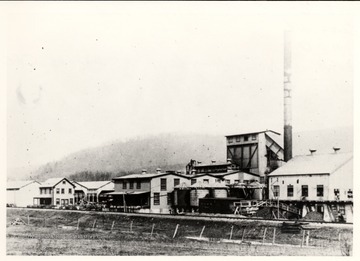 Deer Creek Extract Plant, Cass, W. Va. 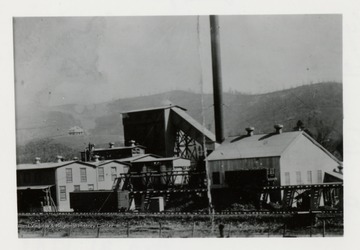 Deer Creek Extract Plant, Cass, W. Va. 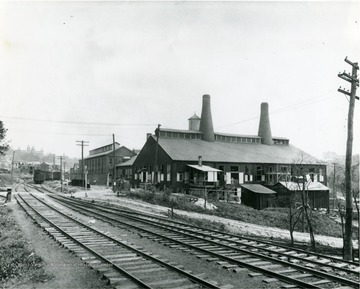 Deer Creek Extract Plant, looking N.E. 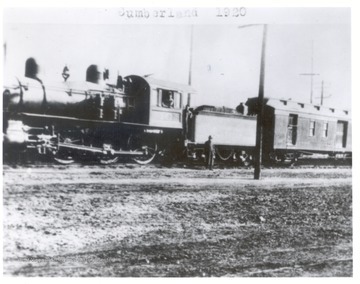 towards plant across C&amp;O; W.E. Blackhurst Collection. 2. 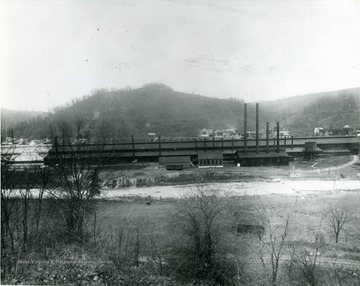 Deer Creek Extract Plant, Cass, W. Va.
Plant with a house in the distance. 3. 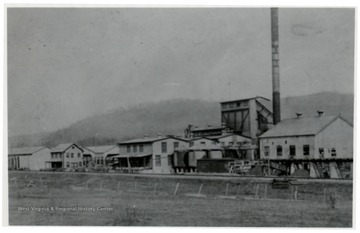 Deer Creek Extract Plant, Cass, W. Va. Extract plant with large smoke stack. 4. 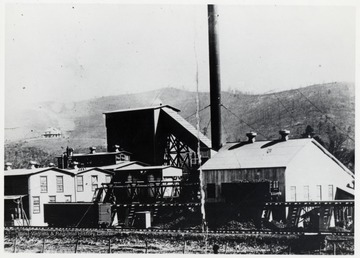 Deer Creek Extract Plant, Cass, W. Va.
Boiler Room, chipper shed, pan room and extract plant. Looking east towards structures facing the Chesapeake and Ohio Railroad. Engine No. 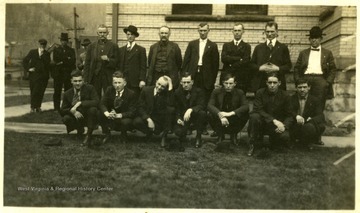 10 with crew in Cumberland, 1920. From left to right: Jake Sibloski, Walter Miller, Louis Roncaglione, Andrew Vargo and Fred Lamb. 7. Matewan Massacre Defendants at Williamson, W. Va.
Matewan Massacre Defendants at Williamson, W. Va.
8. 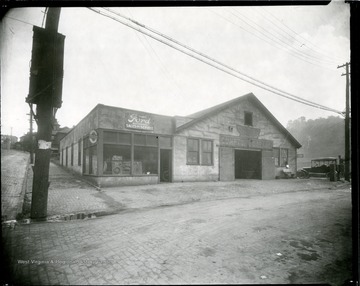 Compton's Garage, Grafton, W. Va.
Compton's Garage, Grafton, W. Va.
Compton's Garage located on the corner of East Main Street in Grafton, West Virginia. 9. 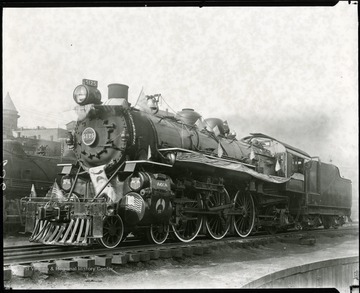 Baltimore and Ohio Engine No. 5125, Grafton, W. Va.
Baltimore and Ohio Engine No. 5125, Grafton, W. Va.
Engine No. 5125 decorated with American flags in the downtown Grafton, W. Va. yards. 10. 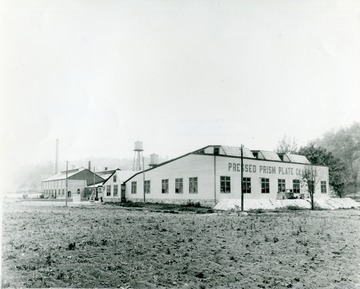 Pressed Prism Plate Glass Company, Sabraton, W. Va. Pressed Prism Plate Glass Company, Sabraton, W. Va.
Glass company located in Sabraton, W. Va. near Morgantown, W. Va.
11. American Sheet and Tin Plate Company, Sabraton, W. Va.
American Sheet and Tin Plate Company, Sabraton, W. Va.
American Sheet and Tin Plate Company located in Sabraton, W. Va., near Morgantown, W. Va. Houses on the far side of the factory. Bare ground on near side of factory. 12. Economy Tumbler Company, Seneca, Morgantown, W. Va.
Economy Tumbler Company, Seneca, Morgantown, W. Va.
Economy Tumbler Company located next to the railway tracks in Morgantown, W. Va. Rail cars seen down the tracks.